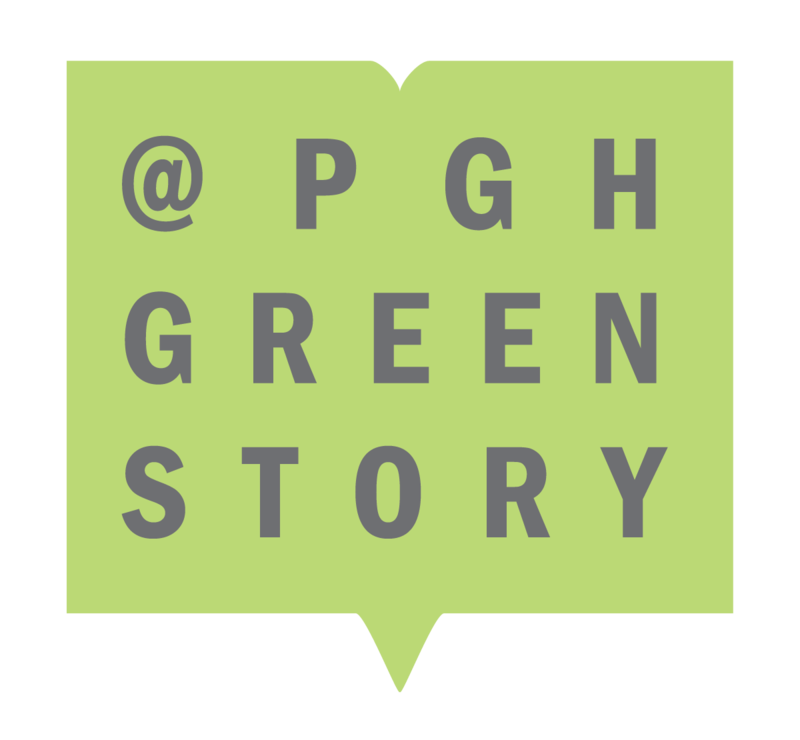 (PITTSBURGH) April 10, 2018 – Pittsburgh’s commitment to a sustainable future continues to drive research and the creation of innovative green technologies that improve how Western Pennsylvanians live and work, while reducing our impact on the planet. Three Pittsburgh startups – LifeWhere, Conservation Labs and Hibersense – have created new technology solutions that make it easy and affordable for homeowners to decrease home energy and water use, and cut utility costs. 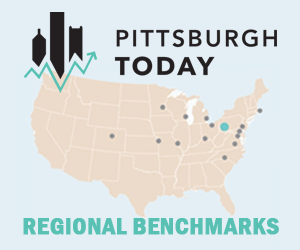 At the same time, the City of Pittsburgh, named one of 100 Resilient Cities in the United States by the Rockefeller Foundation, has set aggressive sustainability goals for city-owned facilities, infrastructure and fleet, including achieving a 100 percent renewable energy supply; a 50 percent reduction in energy consumption and water use; 100 percent fossil-free fuel fleet; 100 diversion from landfill; and a 50 percent reduction in citywide transportation greenhouse gas emissions. Pittsburgh IoT startup LifeWhere has created a new market of connected home services through innovative technology that bridges the technical gap between homeowners and technicians. The company’s LifePulse sensor technology connects inside the home to enable predictive analytics for utilities such as air conditioning units and furnaces, a monitoring service previously only available to large companies or property owners who maintained expensive equipment. LifePulse collects and monitors data from these machines in the cloud, alerts homeowners and service providers to inefficiencies and potential problems, and proactively reaches out to homeowners to diagnose problems before they become an expensive repair, giving control back to the homeowner and providing peace of mind. Conservation Labs Smart Water Meter and App H2know recently won the 2018 CES (Consumer Electronics Show) Innovation Award for its smart water meter and app H2know, which estimates homeowner’s water usage, provides real-time alerts when leaks are detected and identifies the source of leaks. The device can also provide custom water conservation recommendations, estimate water flow down to the second, and categorize water use by each appliance in the owner’s home. 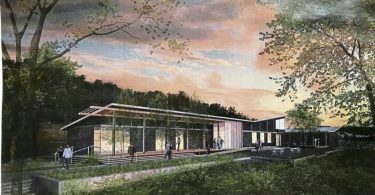 Conservation Labs estimates that H2know will save consumers about $250 a year in water-related expenses. The smart water meter, which is easy to install and access through an app, will cost about $100. The device fits over a home’s main water line and can be installed in about 10 minutes to start creating value on day one. 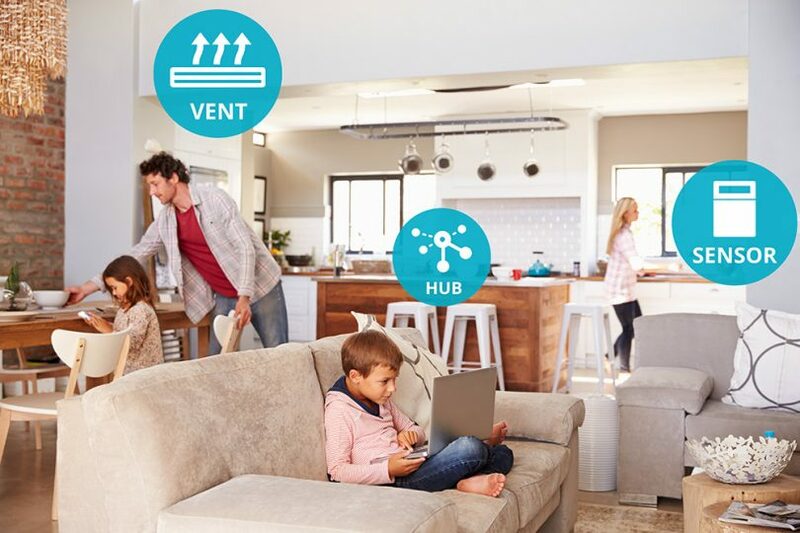 HiberSense Connected Climate Control for Every Room empowers homeowners with a well-designed and adaptable system that provides HVAC automation & control. Our patent pending, easy retrofit system uses machine learning, predictive analytics, wireless sensors & smart vents to heat or cool every space without wasting money to condition unoccupied spaces. Hiber Sensors gather information such as occupancy, temperature, pressure, humidity, light, and even optional indoor air quality. This enables the system to understand and leverage the thermal dynamics of the home and the occupants’ habits and preferences. Further HiberVents are used to adjust the airflow to individual rooms, ensuring the perfect climate in each space. HiberSense ensures homeowners are more comfortable and saves them up to a 40% on heating and cooling costs.